Close to a dozen inspirational framed posters hang on the wall along with flags roped together and scribed with positive words like peace, love and teamwork. A small, circular table piled with workbooks and calendars also doubles as the office lunch table. Laurel Sullivan’s desk, made of dark reddish wood, is placed against the side wall leaving the rest of her office open for visitors. As Envoy General Manager at the Manhattan Regional Airport (MHK) in Manhattan, Kansas, Laurel says the desk is part of her management style. She wants her office to be as open as possible to communicate to her team that she’s always available and easily approachable. In many ways, Laurel’s style helps cultivate a family-like atmosphere based on unity and respect. 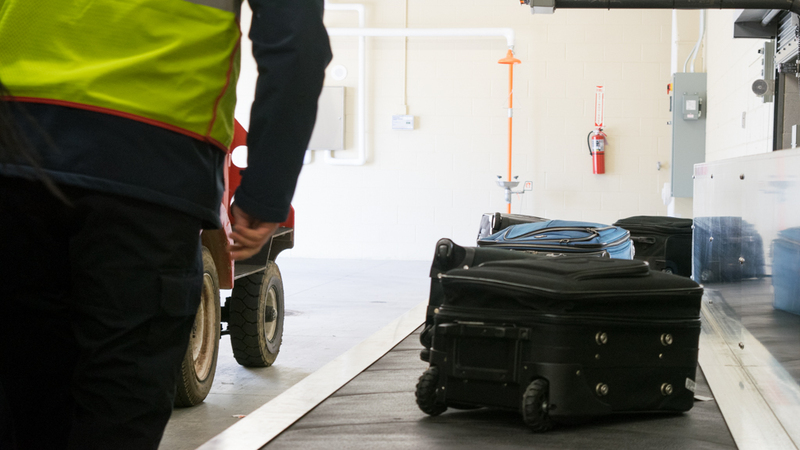 These tight-knit groups are what makes the smaller airports so special. In 1953, the Manhattan Municipal Airport began service for commercial flight operations. The current terminal opened in 1997 when it became Manhattan Regional Airport. Today, all five daily flights at MHK are operated by Envoy as American Eagle. Mostly Embraer 145 regional jets fly in and out from Chicago O’Hare International and Dallas-Fort Worth International Airports. MHK’s most frequent flyers include military members from Fort Riley and students from Kansas State University (KSU). 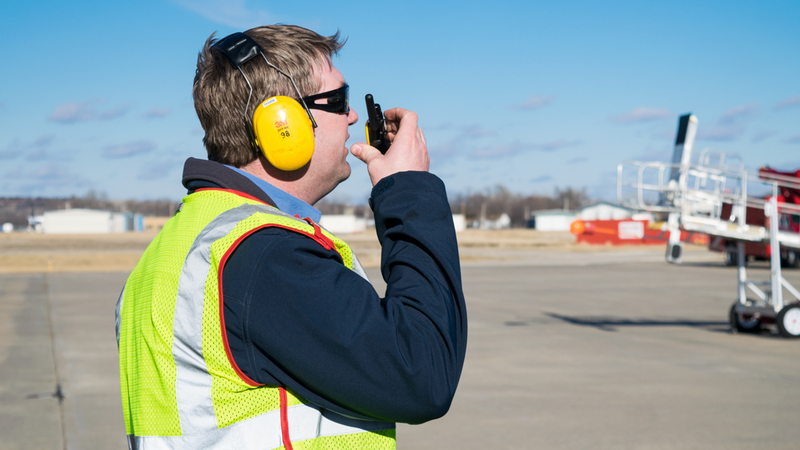 The growing demand for travel in the area made a recent three-year $15.8 million expansion project at MHK necessary. The project included adding two jet bridges, a baggage carousel and rental car kiosks. 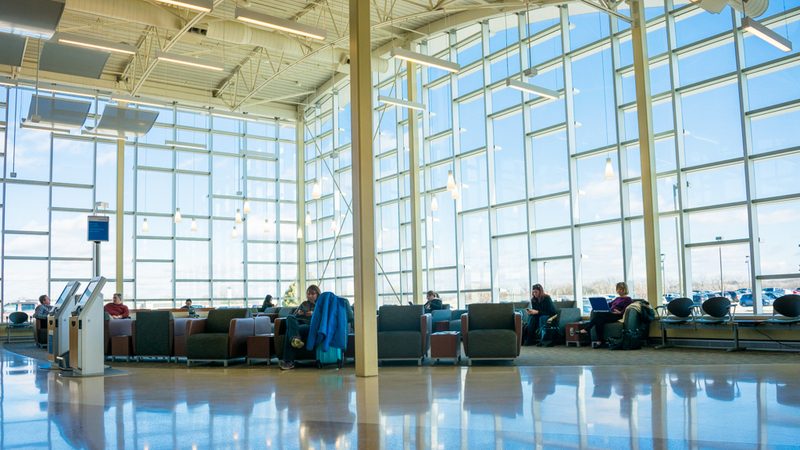 Also, the updated architecture features large windows and an open design to maximize the amount of natural light flowing through the terminal. 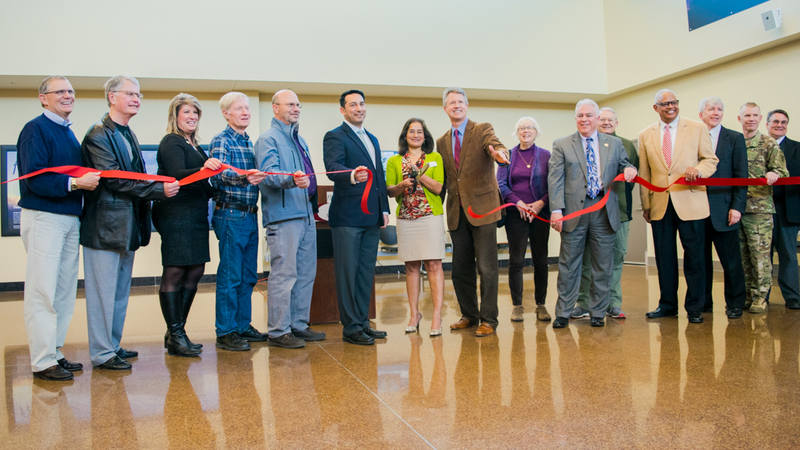 On January 26, members of the press, sponsors, American Airlines representatives and city officials, including Mayor Usha Reddi, attended a ribbon-cutting ceremony to commemorate the completion of the project’s final phase. Envoy station agents were also in attendance to share in the celebration, as a substantial part of MHK’s success comes from the friendly and efficient service Laurel’s team provides on a daily basis. Lead Station Agent Brennan Walter says that his work ethic is the result of a synergy running through him and his team members. 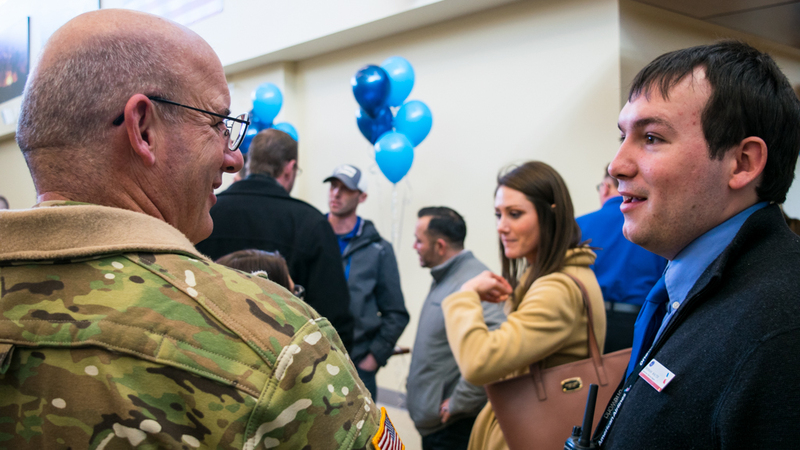 The 25-year-old KSU alumnus attributes the station’s success (MHK won American’s Customer Cup in Third-Quarter 2015) to the familiarity of the operation and friends in Envoy blue. In 2016, Brennan won a President’s Award, which recognizes Envoy employees that go above and beyond consistently. Brennan, who is Laurel’s right-hand man, says that Laurel nominated him for the award for his commitment to the airport and the operation. Brennan would regularly visit KSU to help orientate international students to the airport. He gave tips on choosing flights, checking luggage, safely packing carry-ons and making their flights on time. This is just a small part of the infectious go-getter attitude that permeates MHK. Brennan says that everyone working toward a common goal helps keep people on the same page. Yet, the comradery doesn’t solely exist within the limestone walls and multi-paned windows of MHK, it spreads across the world. Brennan and the other station agents often take trips to the far reaches of the world –most recently Iceland, Morocco and Germany – using their travel privileges to their fullest. One of these world-traveling jetsetters is Matt Eakes, an Envoy station agent for 3 years. He’s a Kansas native, former KSU student and one day aspires to take on the general manager role at the station. Laurel, the current general manager, says that Matt has the right drive, tools and leadership qualities to take on that position. Matt has already been handed the responsibility of training the newcomers, which he does with confidence. On the ramp, a jet from Chicago O’Hare has just arrived and it’s time for Matt’s crew to turn the plane. Like a basketball coach, Matt directs the trainees where to go, what to do and what’s next. But, Matt doesn’t sit on the sidelines; he’s out on the floor. He lifts bags and drives carts with genuine joy and a smile on his face. Matt’s swagger comes from the trust Laurel has in him and the rest of her team. She says that the ability to extract a person’s best effort comes from experience working with the military. When people think of military leadership, most think about strict orders handed down from a screaming drill sergeant. Flip that image on its head and you’ll find a leader like Laurel. She learned through her military experience that she had the ability to help people focus. By knowing what it was they wanted to achieve, Laurel helped them keep their eye on the prize. 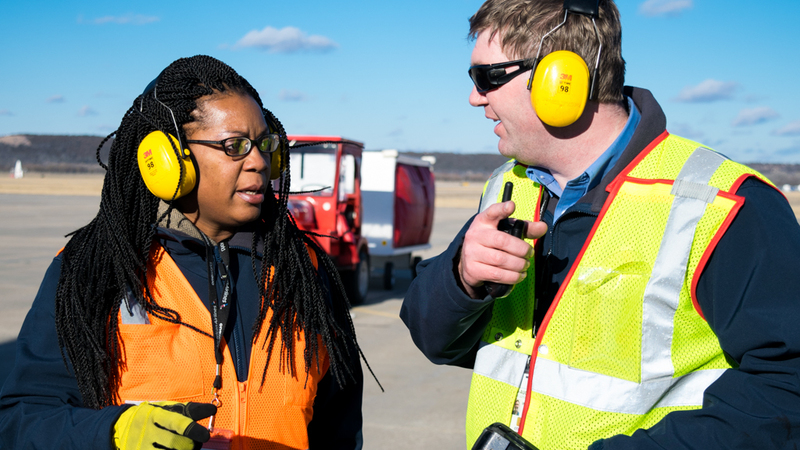 With her station agents at MHK, Laurel uses that same ability to help her employees succeed on a daily basis. Tashae, one of MHK’s newcomers to the Envoy team, has discovered in just a few months on the job how much the station resembles a little family. On one of her first days, for instance, Brennan helped Tashae get a hotel room after she had trouble securing one. But the family feel doesn’t stop there. Recently, Laurel was surprised by her team’s commitment when one frigid 10-degree morning, Laurel expected everyone to be dreading the day’s operation. Instead, everyone reported for duty with a positive mindset warm enough to cut through the frosty air. At her desk surrounded by words of encouragement, Laurel lists the way in which MHK pulls together like a family. They have adventures together, they include each other in their lives, they persevere through adversity, they help each other when someone is down and, most of all, they respect each other, she says.